Ephemeral 01 } I've been digging through old family photos. Reimagining what they could be, beyond evidence of the subjects' physical existence. Embracing the fade of them. Calling in the birds. Adding artifacts that mean much to me. Wondering where the souls go. I lifted a viewfinder to my eye for the first time in 1976 shortly after I discovered a plastic Kodak camera, a cartridge of film, and a handful of flash cubes in my Christmas stocking. I was seven years old. Weeks later, my first stack of printed photographs landed in my hands by way of the U.S. Mail. It was nothing short of magic, and in that moment, I fell in love with photography. Over time, it became an important means of creative expression for me, and a method for connecting with diverse people around the world. Photography gave me a excuse to ask questions, to lean in for the answers, and to study expressions, gestures, and interactions. It taught me to listen, to be patient, and to appreciate the beauty of each person's uniqueness. It helped me to see that regardless of our skin tone, economic status, religious views, or life stories, we are mostly the same and forever equal. Today, 40 years later, I'm still troubled by the fact that our society continues to be plagued by racism and social injustice, brought on by a fear of our differences and a lack of empathy for one another. I'm intrigued with the idea of exploring and studying a view of humanity throughout history through the work of creatives who have come before me – artists, photographers, songwriters, poets and storytellers of the past. Assets in the NYPL digital archive have significance, though (in their current form) little relevance to what's happening in our world today, particularly with our youth, the change-makers of tomorrow. My intent is to uncover, connect, and remix visual assets from the past with new imagery of today to offer a perspective on humanity (where we've been), and reflect on what's required of us to be human today. I intend to create a series of digital art (images and videos) titled "Now & Again" to inspire positive change among viewers as it relates to breeding empathy, cultivating kindness, and ensuring social justice. This art will be exhibited primarily in the form of a website and potentially an e-book, and promoted through social and traditional media. Secondarily, I'd like to gain support for a traveling gallery exhibition in an effort to bring people together face-to-face and to inspire conversation and connection around empathy and social justice. Each image is comprised of numerous, layered photographs and graphics created with mobile photography apps on an iPhone. Experimenting with old photographs. 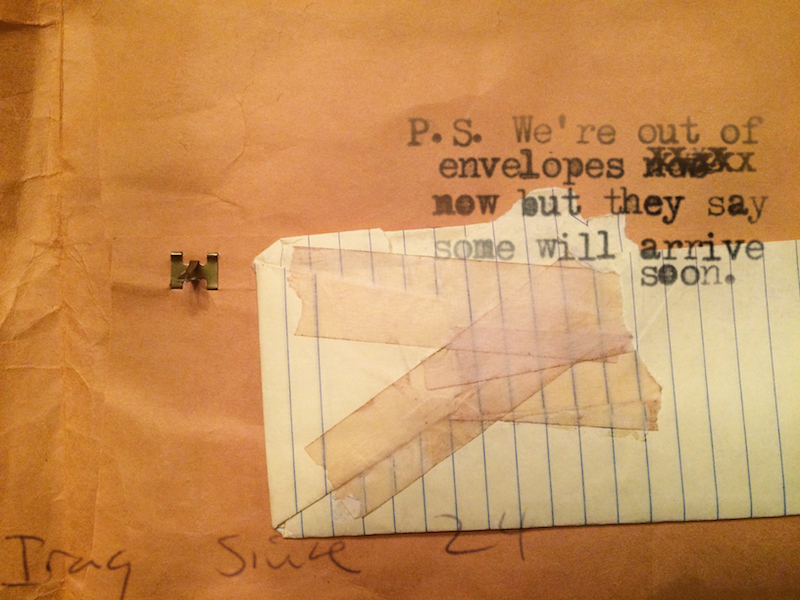 Imogene handed me an envelope of them years ago. Her portraits and a varied assortment of snapshots people had given to her over the years. In most, she is holding someone's baby or petting someone's pet. Names and photographers unknown. Grateful to hold these prints. Gene is in her eighties now. I stood in front of the box of old photographs wondering who they were while my girl waited sort of patiently and the shopkeeper said everything about nothing that mattered. Faces and hands and bodies. Curled edges. Soft tones. The woman with the dog. I set the one of the man slicing the jack rabbit open to the side. Who thought to compose it like that? Metallic tints. A still pose. Families spread wide. Babies. I wished they could speak. "Tell me everything," I whispered. I barely recognized this one of Imogene found in the envelope not long ago. It's quite something. Torn. I'd know the sound of her voice from any distance. Each image is comprised of 8-15 layered photographs of artifacts founds in my friend's basement. I created them with mobile photography apps on an iPhone. 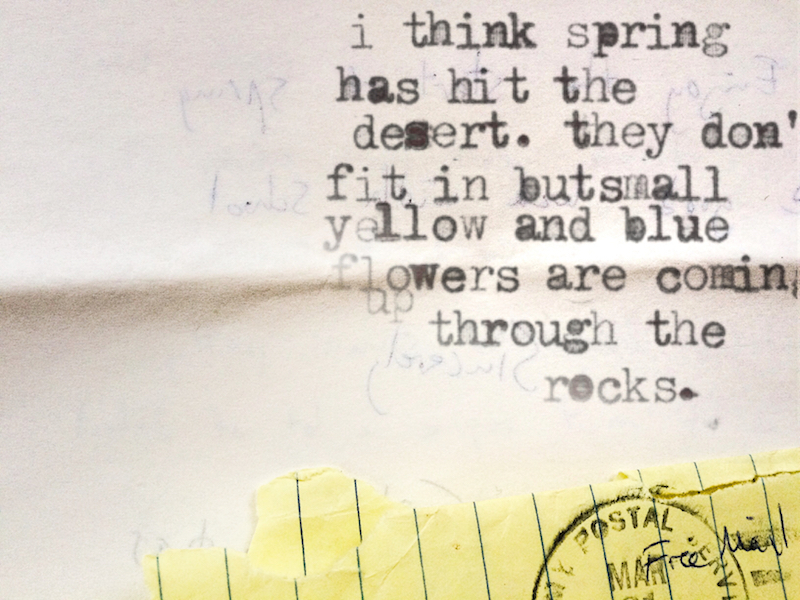 I found and photographed a collection of letters I received from several men I loved 25 years ago. Each image is comprised of numerous photographs of these letters and envelopes and quotes I extracted from the text to create original pieces of art.